Broadband is a term referring to high-speed internet access on and faster than traditional dial-up access. A consumer reaches a download speed of around 500 Kbps and uploads at a speed of up to 80 Kbps. There is an argument that these speeds are slower than those of cable modem or DSL, but still, they are faster than the download speed with the dial-up internet by about 10 times. 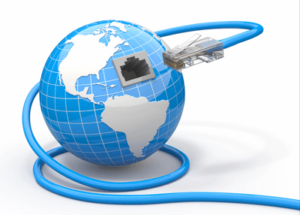 Several factors determine the kind of broadband connection you will use. These might include availability, your location (rural or urban) and packaging. Providers might package it with other services that suit you such as home entertainment and a voice telephone. Price is also an essential factor in your choice. A rise in internet usage has contributed much to the increase in the demand for broadband. A massive 7 out of 10 Kenyans use the internet which is one of the best penetration rates in Africa according to data monitoring organizations. Over 30 million Kenyans have access to the internet making the country to be the leader in broad internet penetration in Africa. These numbers are way ahead than the average African penetration as only 18% of total population is defined to be internet users. Due to demand for internet services, there has been an increase of internet service providers in the recent past. In 2015 there were 221 internet providers and the number increased further to 250. The use of undersea bandwidth improved speed to 860, 300 Mbps from 854,300. The use satellite bandwidth also increased to 270 Mbps. These increases led to a rise in demand to 12.5 million subscribers. Nevertheless, there was a decrease of 67 percent in the number of fixed fiber optic subscribers after separation from fixed cable subscriptions action was an effort for adhering to recommended international grouping for the fixed wired broadband. GSM mobile networks still account for largest share of subscription. There are or over 11 million subscribers who are attributable to the easy availability of cheap internet based cell phones in the market. The average price of a Smartphone in the last 122 months has reduced from $231 to 97. Wireless internet subscriptions increased to 26.6 subscribers an increase of about 11.5% in the same period. Although some individuals may have more than one subscription, it is still a high number for a country whose population stands at 48 million. Kenya has the 14th fastest mobile internet speed which is ahead of countries like the United States and South Korea. The combination of high speed and cheaper data plans has attracted a great number of subscriptions with much as 88% of the population accessing the internet through phones. Nowadays there is even free wifi at particular hotspots. Is Fixed Broadband Still Significant? It is said that laying of broadband fixed networks (cables) is expensive for data providers and average internet subscribers. IT analysts believe otherwise. They gave their concerns about overreliance of mobile broadband despite its portability and accessibility. There is a need for enhanced internet supply to power government digital operations such as e-government and e-learning portals. Small, medium Enterprises are also after convenient e-commerce services. Offers more data limit with some packages allowing subscription of unlimited data whereas mobile broadband has a cap. Provides multiple services over single channel combining internet, telephone, and television making it cheaper by far. Kenya ranking at position 23 out of 108 countries of countries in a global sampling about internet speeds will make internet usage and broadband penetration to continue increasing.